Laptops have become a very essential device for personal and professional use. The main utility of a laptop is that it is can be taken from one place to the other. You can take it everywhere and with new devices like plug and play modems you can access the internet from practically anywhere under the sun. Since the laptop can be carried around everywhere it needs to be protected as well. Laptops even though, ubiquitous, are not built for rough use. They can very easily be damaged by even the slightest of the falls. This makes it very important in the protective case to be sturdy and weatherproof. A protective laptop case must also carry the accessories that need to be used with a laptop. 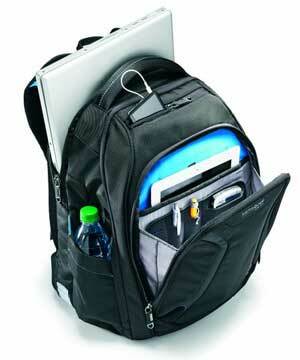 There are literally hundreds of types of laptop bags that will satisfy every need and preference. The laptop bag needs to contain the laptop, the power cord, adapter, mouse and several other accessories that the user needs. Personal style is also a very important factor that comes into play while buying a bag for your laptop. The first thing that you need to consider is the size that you need. Laptops come in various sizes and make sure you buy a bag that suits the size of the laptop and the accessories needed. A compact notebook computer will not need more than a slim sleeve or a messenger bag. But a large laptop will need a tote bag or a briefcase carrier. It is usually seen that a laptop bag is not used to carry a laptop alone. It may also need to accommodate papers, files and other essential items. The purpose that you intend the bag for is also a very important factor. If you are an international traveller who shuttles to and fro all the time, then you will need a sturdy bag with thick padding. The laptop even though considered to be a compact device can really seem to be heavy when walking through those long corridors in airports. In that case buy a stroller bag that you can pull behind you. This bag will also be able to accommodate the laptop, its accessories and also clothes that you need for an overnight journey. 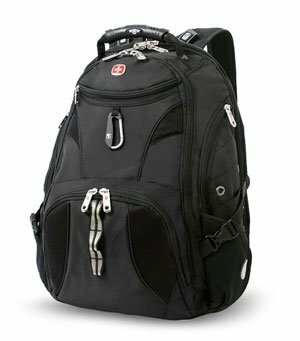 You will need a bag with thicker locks, heavier padding, and a substantial casing for this. If you just need to carry your laptop to your class, then you can buy a messenger bag. If you are an architect or a construction worker who needs to take his/her laptop to a construction site where there is a harsh working condition you can carry a sturdy metal case. The type of bag depends on your need. Cost is also a factor that you need to consider. 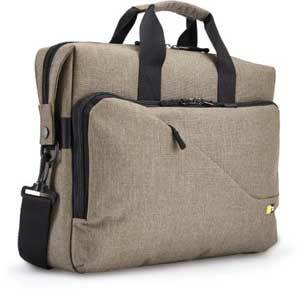 Laptop bags can cost from a few dollars for a simple one to a few thousands for a designer one. You don’t want to buy a laptop for $800 and spend $4000 on a bag. It just does not make sense, unless you are a highly fashionable person who needs that particular design. But when you buy a bag make sure that it offers protection to the laptop. Cheaper ones offer less padding and you can only expect light protection. 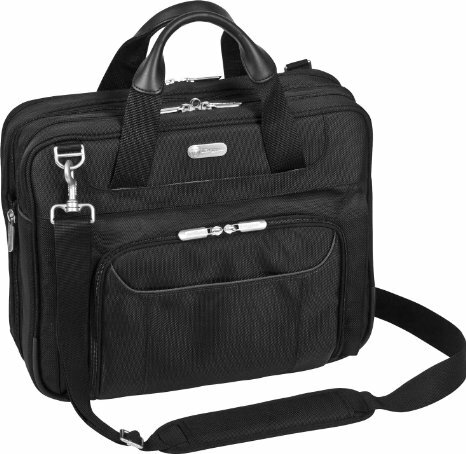 A laptop bag must have sturdy exteriors and soft interiors. If you are all out of money after buying that laptop and yet want to buy a good bag you could settle for a short term solution of an inexpensive laptop sleeve and place it within a low cost carrying case. It works quite well too. A Laptop bag that has stitches along the seams looks high quality and probably is. But make sure the thread does not come loose and that the seams are wavering. Bags that have visible foam padding will offer very good protection, but not for long. Eventually they will wear off and look ugly. If you opted for bags with wheels, make sure they have ball bearing wheels that are attached with bolts or rivets. Extendable handles must move smoothly and be long enough so that you can pull it without stooping down. Handles and straps must be sewn onto the body of the bag and made of sturdy material. Laptop bags come in many materials like leather, nylon, rexin and so on. Buying a laptop bag is a vital investment. So go ahead, buy one protects your laptop and one that makes a style statement as well. This article was written by John Hamilton, an experienced freelance writer from EssaysOrigin.com, an online writing service review portal.